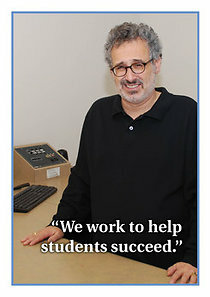 Faculty and support staff at several higher education institutions across Connecticut are members of AFT Connecticut-affiliated unions. These educators hold a variety of positions in their institutions, ranging from full-time, part-time or adjunct faculty to research, clerical, administrative, security staff and more. Though each may have unique concerns and needs, they share goals of promoting academic and institutional excellence and securing the rights and respect they deserve as higher education professionals. Click here for policy recommendations a coalition that includes our union released in Fall, 2014 that would reduce higher education costs and solve the growing student debt crisis. The planning process for any group can seem a bit like sausage-making. Without a roadmap, however, it is impossible to move forward when faced with escalating challenges on multiple fronts, from Hartford to Washington and in local communities across Connecticut. That's precisely why state federation leaders last summer embarked on a comprehensive effort to develop a strategic plan to build a more active and engaged "union of professionals" in 2018. Telling Hartford HealthCare Union Members Are Not "Pawns"
Countless Connecticut residents are currently caught in a power struggle between a health network and an insurer, restricting access to preferred doctors and spiking medical costs. In response, leaders of the State Employees Bargaining Agent Coalition (SEBAC) took action on behalf of impacted union members and retirees. They are collectively demanding that Hartford HealthCare (HHC) immediately resolve its ongoing contract dispute with Anthem, Inc.
Click here for union leaders' letter to the network's CEO.